As the start of the holiday season, October has certain zeal to it. Those of us who love flowers are wondering what else we should display around the house - besides pumpkins, of course. Others may be wondering what is fitting for a loved one during the first month of fall? The many flowers to choose from during October will suit either of these purposes. Lance-Leaved Goldenrod – The showy goldenrod, sometimes thought of as a wildflower, blooms beautifully outside of garden boundaries or any moist, sunny location. Commonly referred to as the flat-topped goldenrod, this striking cluster of small yellow flowers makes for a thoughtful gift to any receiver needing support. 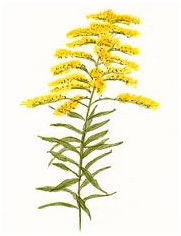 The Lance-Leaved Goldenrod symbolizes encouragement and precaution, therefore is perfect for a get well or congratulatory October occasion. Pansy – If you are looking for a dazzling bouquet to let your beloved know that he or she is consuming your thoughts, pansies would make a great choice. These fragrant flowers not only leave a delicate, perfume-like aroma in the room, but come in virtually every color imaginable. 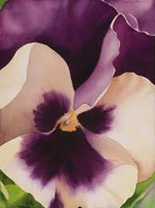 Ranging from purple, violet, red, yellow, white, and even black, the pansy signifies thoughtful reflection and merriment – like the merriment that comes with October’s holidays. Its overlapping petals accentuate the beauty of this vibrant, versatile flower. 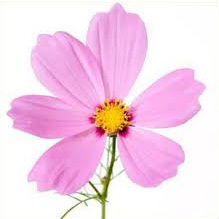 Cosmo – The delicate cosmo flower represents order, modesty, and peace, making it appropriate for an arrangement at home or a gift to in October – right before the hustle and bustle of the holiday season. These flowers, although simple in appearance, also come in a vast array of color. Ranging from different white, orange, yellow, pink, and red, the cosmos unique trait is the fact that their astrosanguineus smells of sweet chocolate. When given to a romantic partner, these fragrant flowers are meant to express partnership and devotion between lovers. Gerbera Daisy – Distinguished by larger flowering heads that closely resemble those of sunflowers, Gerbera daisies come in a vibrant rainbow of colors. The bright pink, snow white, sunny yellow, and rub red colors of the gerberas signify exuberance and geniality, which works well with October’s holidays. Being a classic symbol of beauty, an assorted bouquet of Gerbera daisies can lift the spirits of any receiver. 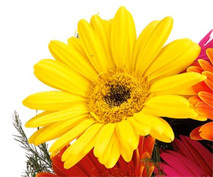 As such, the Gerbera daisy has become a favorite choice for many occasions, including birthdays and congratulations. There are many daisies that bring good feelings, but none like the merriness that comes with the Gerbera daisy.